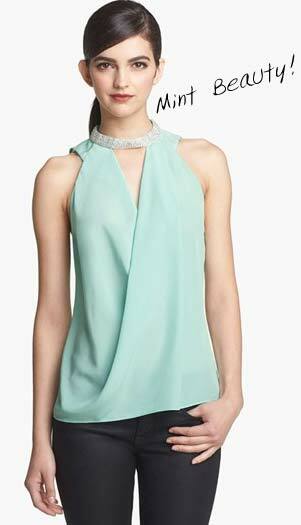 This Bead Collar Surplice Top by Robbi & Nikki comes in a beautiful mint color. It is an elegantly draped sleeveless top that is accentuated with a decadently beaded collar at the double V-neckline. 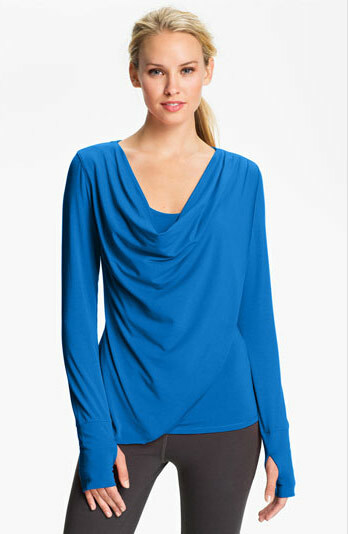 Soft gathers spill from the draped neckline down the faux-wrap front of this Alo ‘Asana’ Top. This perfect post-studio top is finished with thumbholes in the cuffs. 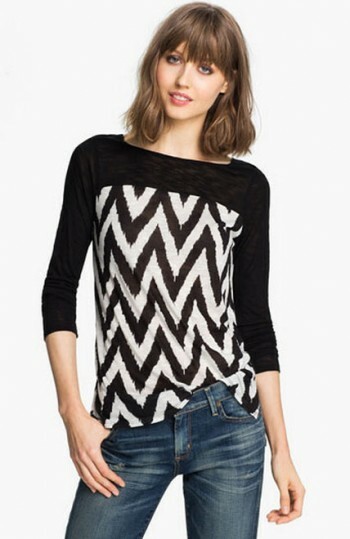 This Ella Moss ‘Mazzy’ Zigzag Print Top is wicked cool. It’s solid yoke and sleeves contrast a lively zigzag print bodice while allover slub texture ties the look together.